Canada is an advanced country with its people having high standards of living. Its population though is limited (or, less), especially in some provinces. This apart, generally, the country as a whole and some provinces among them face worker shortages. Therefore, the country and some of its provinces have introduced different types of skilled programs to attract skilled, semi-skilled, etc. talent or workers to immigrate to Canada. Canada’s flagship migration program is called as the ‘Federal Skilled Workers’ program. This a points-based calculator/program which awards points for different types of criteria such as ‘education’, ‘work experience’, ‘age’, ‘language proficiency’, etc. If an applicant receives/gets a minimum of 67 points on this calculator, he/she is eligible to migrate to Canada, at the federal government’s prerogative. And, as indicated above, some of Canada’s provinces s too, have their own provincial programs, also called as Canada Provincial Nominee Programs, under which an individual can migrate to the respective province. Canada’s different provinces have their individual and separate provincial migration programs. Thus, Alberta, British Columbia, New Brunswick, Nova Scotia, Ontario, etc. have their own provincial nominee programs (called as PNPs). Firstly, there are some ‘basic two steps’ that a province considers in evaluating an application from an applicant for the Provincial Nominee Program, whichever the province he/she is applying to. These two steps are1) the province’s ‘immigration needs’ and 2) ‘determination of whether an applicant really/truly wants to stay and live in that province’. The generic application for the provincial nominee programs includes and seeks many details and documents. These include ‘Background Declaration’, ‘Detailed Personal History’, ‘the Applicant’s Travels’, ‘Travel Documents and Passports’, ‘Proof of Language Proficiency’, ‘Identity and Civil Status Documents’, ‘Children’s Information’ and more. Also, the different provinces may use their own different categories/streams to ‘nominate’ individuals for their ‘Provincial Nominee Programs’ and let them immigrate to Canada. Thus, Alberta uses streams such as ‘Strategic Recruitment Stream’, ‘Employer Driven Stream’, ‘Self-employed Farmer Stream Category’, etc. And, the requirements and needs for each ‘category’ or ‘stream’ are different too. Once the applicant has made a determination about applying for a particular province and through an applicable stream/category, etc., he/she must fill all of the details of all the relevant application forms, enclose all of the relevant documents and submit the ‘completed application’ to the respective province’s immigration department. 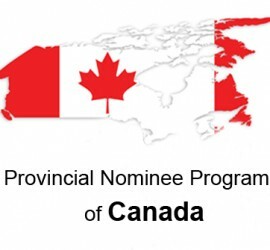 The respective province will then process his/her application file for the/its ‘Canada Provincial Nominee Program’. hi. i want to come on visit visa for few days . is there any way to get visit visa easily ?